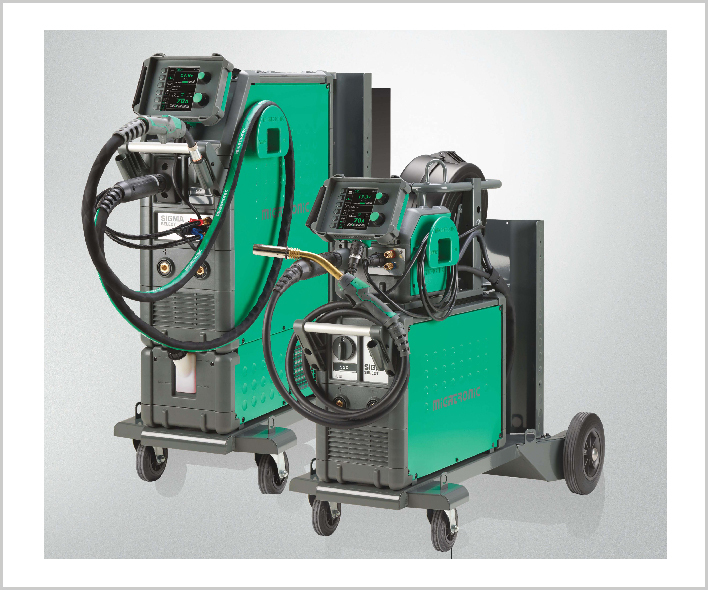 Modular-based three-phase MIG/MAG and MMA inverter.From basic, manually operated welding machine to advanced 550 amps high-performance pulse welding Machines. Make a smart Investment With Sigma Select you don't have to worry about the future. Once you buy the machine, you won't have to invest in another machine for a long time. You can simply upgrade your Sigma Select with the new functions you need for less than the cost of a new welding machine. Upgrade your welding set-up by adding programs or functions if new customers make new demands on your welding production.